Another year is about to start and I'd like to wish everyone all the very best wishes for Happy, Crafty and Healthy times in the coming twelve months. We so often don't keep to any resolutions we make at this time of the year but I am going to try to keep more up to date with the blog and also make an effort to use what I already have rather than buying too much crafty stash (hard one this) !! I'm just sharing a clean and simple card today which needs little explanation as to how it was achieved. 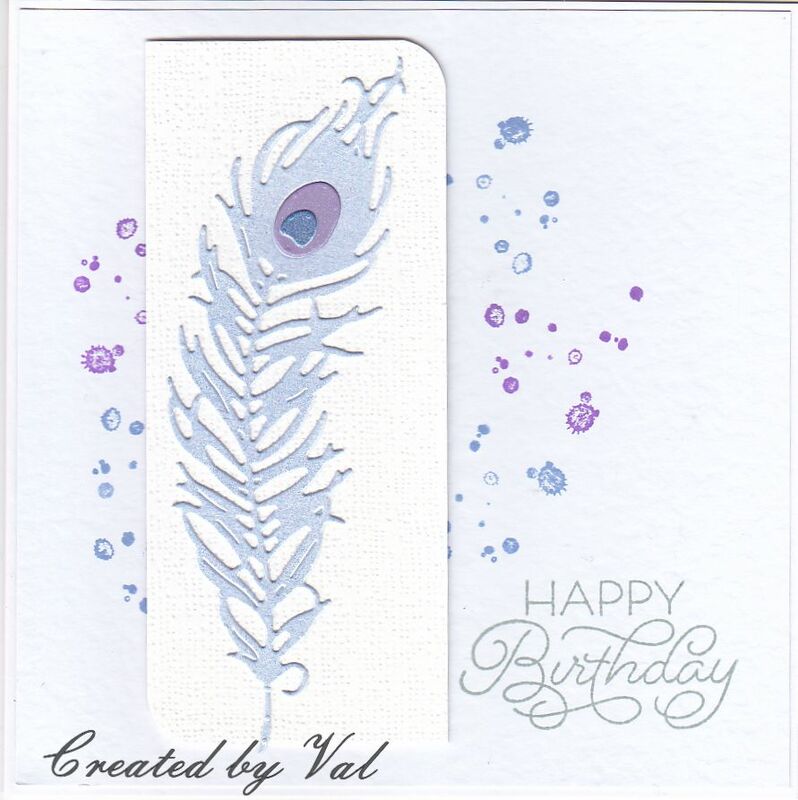 Simply a die cut feather using up some snippets of card combined with a few inky splodges and a sentiment stamped onto the background. 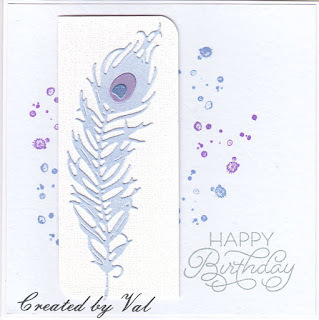 Such a beautiful card Val, lovely and delicate. Lovely use of your snippets and the inky splodges in the background look great. I hope you had a good Christmas and wish you the very best for the new year. We spent Christmas in London with our family and just got back home this afternoon .. and now I am trying to catch up with everyone. Thank you for all your visits and lovely comments on my blog. You are very kind.